So there you have it. 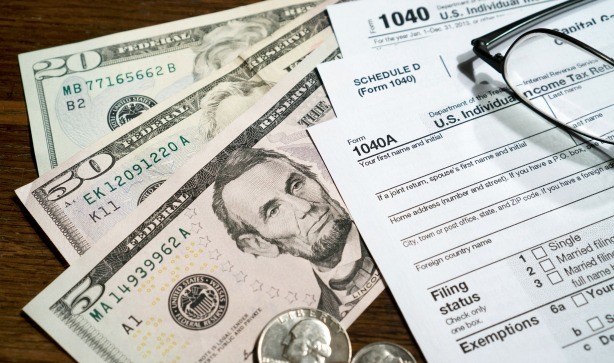 If your situation is a very basic one, then use some tax preparation software. You’ll do just fine. 1. If you had a major, unusual event during the year, like a foreclosure or bankruptcy. Did you know the general IRS rule is that debt which has been forgiven is actually counted as taxable income? Unbelievable, isn’t it! So if you couldn’t pay your credit card bills, and some of the debt was forgiven in an agreement, that amount (that was forgiven) could be counted as taxable income. Now, there are a multitude of exceptions, and then exceptions to the exceptions. This is where a professional can help make sure you aren’t hit with an unexpected tax bill. 2. If you have your own business. Many people do their own taxes just fine, but once you get into the realm of small business taxation, it’s worth it to consult a professional, at least at the start. If the business is owned by just you, then the income and expenses are recorded on Schedule C of your 1040. If you understand the form, and there’s not too much complexity, then you are probably fine to do it yourself. But, there are some issues that a professional can help you answer like… how much in estimates should I pay through the year? Do I have business assets that should be capitalized and depreciated? If my business operates as a loss, am I in danger of the IRS disallowing the loss because of hobby loss rules? 3. If you haven’t filed your taxes in a while. Here is where you definitely need some help. The laws change year to year, which means that the forms change from year to year. Let me just add here – not filing your taxes can be a criminal offense, as in go to jail time. You have got to file your tax returns, even if you can’t pay the taxes. Now, the IRS does not just pop up at your door with handcuffs if you are late in filing your taxes. There are all sorts of notices that you will get from them, and you will be well aware that the hammer is about to fall. If you have not filed your taxes in a while and you start getting those notices, (or even better – before you start getting those notices) get yourself some help. Now! 4. If you are involved as a plaintiff in a lawsuit. Many people do not realize that the settlement proceeds can be taxable depending on how a lawsuit is structured. In most cases, if the money from a lawsuit “makes you whole” from a physical injury, then it is not taxable. This would include money received to compensate for medical expenses or for lost wages due to a physical injury. Alternatively, punitive damages (money received by the plaintiff because the court is trying to punish the actions of the defendant) usually are taxable. Believe it or not, the lawyer for the plaintiff may not even consider the tax implications of the settlement. In this case, it would be worth it to consult a CPA to see if there is a way to structure the settlement so that you are not losing 30-40% of the settlement to taxes. So there you have it. Under most circumstances you can do your own taxes. If you can, you’ll save the money you would have spent on a tax professional. But if you have a complicated situation, then having someone else do your taxes may be the best money you spend all year. Questions: Are you always asking “ Should I do my own taxes ” and debating if it’s worth it or not? What are some other reasons you might consult a tax professional? Do you find tax preparation software easy or difficult to use? My sister has been considering opening up a bakery this winter. So, it is good to know that a professional accountant can help with her managing the tax situation of opening a business. It does seem like a good thing for her to know because it does seem bad to mess up your businesses taxes. Yes, exactly the same Question going on my mind now Whether I do my own taxes or not. but now I’m clear on it thanks for the lovely post. Love your post! It can certainly be very helpful and beneficial to hire a professional to help out with your taxes. It can save you a lot of time and stress! I am glad that my employer takes care of my taxes and I wouldn’t have to do it myself. That saves me from doing this. But, I’d like to learn how to do it because I am planning to be self-employed.